With the sustained and rapid economic development of our country, the degree of dependence upon foreign oil and gas has been increasing year by year. Under the circumstances of expanding domestic demand of oil and gas and the changing international market, our country’s inherent drawbacks of the oil and gas system are increasingly apparent, which restrict the substantial development of China's oil and gas industry. Therefore, the promotion of a new round of oil and gas institutional reform is imminent. Recently, the state has reduced the price of natural gas. We can see that the energy pricing mechanism is perfecting step by step. Reform is beneficial for market development, but oil and gas prices reform will still face some problems. Determining the natural gas pricing mechanism is an important and the most difficult step. Select the price mechanism in line with China's national conditions require, also need to with the international market, but also need to promote the progress of China's energy market to a certain extent. The selection of pricing mechanism should adapt to Chinese conditions, integrate with international market and promote the development of energy market. The pricing method based on netback value is bad for the development of natural gas industry and gas price reform. Therefore, during the implementation of netback value pricing method, we should also complement some other subsidy policies. Opening up oil prices means that the future government intervention on oil prices will be lower. 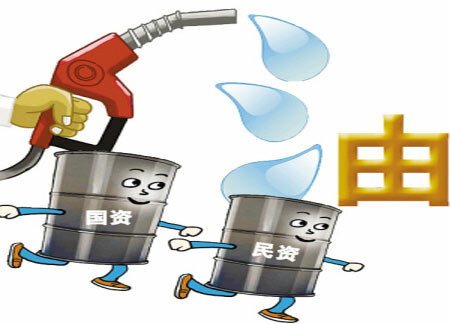 China's oil refining capacity is very strong and there are excess oil capacity. If international oil prices keep low, then the petroleum price will also remain low, which may lead to low profits of related firm, thereby affecting supply of petroleum and operation of the market. If coal price remains low and even continues to drop, the coal to natural gas substitution effect will be more apparent. In order to maintain the price advantage of natural gas, the country will once again reduce the gas price, which means that the risk of falling coal price will be undertaken by the state and enterprises. The purpose of oil and natural gas price reform is to maximize the interests of businesses and consumers and to establish a sound market mechanism on this basis. Price reform will eventually promote the formation of a completely fair and equal competition in the market environment. Therefore, the balance between enterprises and market is a question that must be taken into consideration during the oil and gas price reform. The oil and gas reform often relates to the relationship between the government and the national oil companies, which will further affect the benefits maximization of the national oil and gas resources and its implementation mechanism. During the Oil and gas reform process, what roles will the government and the national oil companies play must be taken into consideration.